Learning to live with an alcoholic is a process. There is no guidebook to tell you how to do it, as each person and each situation is unique. However, there are ways to learn living with an alcoholic, and learn to have a new perspective that will keep you from slipping into stress, frustration or even depression. Often an alcoholic is ashamed of what they are doing, and they will try to place the blame for their behavior on someone else. That person is often the one who lives with them. When the alcoholic begins to blame you, remind yourself that you are not the cause of this –the alcohol is. The alcoholic is just trying to find a way to live with the daily addiction, one that doesn’t make them feel any worse than they already do. Alcoholics will often swear they can change, and then they do – for a little while. But then they go back to the drinking, and they leave you wondering why they lied to you and betrayed you. It is important to remember that they really do want to change, but a long-term alcoholic has an altered brain chemistry that won’t allow them to go without that next drink. It can be tempting to do everything you can to “cure” the problem, but remember that alcoholism is a disease, one that even the best of medical care can’t always help. You can ask them to get help, but you can’t make them do it. 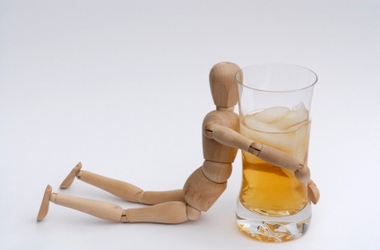 An alcoholic isn’t going to stop drinking until they truly want to do so; and even then, they might need serious medical intervention in order to make it happen. When you try to control them by hiding the alcohol or doing other things like this, it only makes you more frustrated with them when they find a way around that control. It can also make them angry at you, which intensifies their blaming of you. When living with an alcoholic, remember that you can’t stop them. Just because someone can’t control their alcohol consumption does not mean they get away with bad things. When an alcoholic says or does things that are unacceptable, make it clear that those things will not happen again. There is no pass for abusive behavior simply because they were drunk. You absolutely must take a stand when their behavior gets out of hand, or you will soon find yourself in an abusive relationship. Never make excuses for the alcoholic, or try to cover up what they are doing. Never lie for them with family members or friends. Everyone around them needs to understand the full extent of the problem in order to deal with it. The alcoholic is trying to hide the problem because they know how bad it is, and they don’t want anyone to ‘help’ them – they want to continue drinking. By not covering up for them, you are taking away that opportunity for them to hide. Never do things that make it easier for an alcoholic to be an alcoholic. Never buy alcohol for them, and never cover for them when they have a hangover. Never lie to anyone about their behavior. Never make up for their shortfalls – if they say they will do something but then they are too drunk to do it, don’t make up for it by doing it yourself. Leave it there for them to deal with when they sober up. The less you enable them, the more likely they will be to see that they are doing something wrong. There was probably a time you can fondly remember, before the alcohol took over. But now that person you love is an alcoholic, and those happy days are gone. If you continue to believe that things will go back to the way they were, you are ensuring that it will take even longer before your loved one gets help. Be realistic and honest about what life is like now. It seems reasonable that if someone says they will get help, they will – but then they don’t. Or they might do something over and over that keeps hurting them, like buying more alcohol, but they really don’t seem to see the logical reasons why they shouldn’t. Remember that an alcoholic is beyond reason – they have given up that ability. If you have reasonable expectations, you will be hurt by them. If the alcoholic won’t get help, that doesn’t mean that you have to sit there and suffer with them. You can get help for yourself. Support groups are full of people like you, who have to deal with addiction and alcoholism of someone they love. When you take that step and attend, you will definitely realize you are not alone, and that can make coping with the problems much easier. Many people will think that if they simply don’t talk about it, it will go away. But that’s enabling the alcoholic to pretend that everything is okay. It’s important to be willing and able to talk about the situation, and to know how to approach it the right way. Keep it simple and straightforward, and try to talk to them when they are sober or at least hungover. Someone who is truly drunk won’t hear what you have to say, or at the very least, won’t remember it later. This is not a game, so don’t make it into one. If you begin to threaten what will happen if they keep drinking, and then you don’t make good on that promise, they will immediately see you as weak, and they know they can continue to get away with it. The best thing to do is stay silent and calm, talk to them when they are sober, and have your own game plan in mind. When living with an alcoholic, it sounds like a tall order, but the more you nag them about their behavior, the more likely they are to blame you for it: “I drink because you nag at me!” Take away their opportunities to lay the blame on you. By that same token, don’t get mad and say angry things, as that gives them even more reason to think it’s okay to drink. Even if you do enjoy a drink every now and then, don’t do it with them, ever. Alcoholics love having a partner in crime, so to speak. That’s why they love bars – everyone is drinking, so they feel like it’s okay to keep doing what they are doing. If you refuse to drink with them, they are left alone with their alcohol, and that drives the loneliness home a little more. An alcoholic will often escalate their behavior until they are making life miserable or everyone around them, including themselves. If they escalate to verbal or emotional abuse, physical abuse, or threatening your life or the lives of your children, it is time to get out of there. Move out of the house and consult an attorney. Remember that your safety and well-being is of utmost importance! Server responsed at: 04/18/2019 8:53 p.m.